While impatiens plants are normally trouble-free, problems do occasionally develop. Therefore, taking preventative measures beforehand by providing appropriate conditions and being aware of the most common problems with impatiens flowers is crucial. One of the most common problems with impatiens flowers is wilting. This is usually due to moisture stress. These plants need to be kept consistently moist, but not soggy. Water stress can also cause leaf and flower/bud drop. In addition to watering, wilting can be a result of heat stress, especially if the plants are in too much sun. If feasible, they should be moved or grown in a shadier location. Other impatiens problems are due to fertilization. Although they require little in the way of fertilizer each spring, not enough may lead to mottled looking foliage. On the other hand, too much nitrogen can cause excessive growth and little to no blooms. If non-blooming is an issue, this is usually the problem. Adding phosphorus to the soil should help correct the issue and encourage blooming. There are many pests that can affect impatiens flowers. Spider mites, mealybugs, aphids, and thrips are common and usually result in curled, distorted, or discolored leaves. Thrips will generally attack the flowers/buds of plants and may carry a virus that affects these annuals. Another pest on impatiens is the tarnished plant bug, which can lead to dwarfed and deformed flowers. When plants become wilted, begin dying, and appear to be cut at the stems, it’s likely due to cutworms. Neem oil is a safe and effective treatment for the majority of pest problems. Nematodes also attack these plants, which will look sickly, stunted and wilted. Foliage may also turn yellow or bronze colored and will slowly die. Plants need to be removed as well as the surrounding soil where these pests dwell. Solarizing plant beds and applying diluted fish emulsion when replanting will help keep them away. There are several impatiens diseases, including fungal blights and rots, viruses, and bacterial wilt. Most fungal issues are a result of wet foliage or overcrowding. 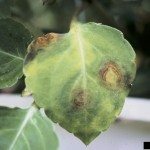 Leaf spots and rotting can signal fungal problems. Avoiding wet foliage and ensuring adequate spacing can help. Neem oil can also help treat fungal issues. Impatiens Necrotic Spot Virus (INSV) can be a serious impatiens flowers disease that is brought about by thrips. Also common is bacterial wilt, which is recognized by sudden wilting and collapse of plants, as well as oozing of stems when cut. Plants will eventually rot to the soil line and must be removed and discarded.